We’ve landed! On Sunday for Rona, and early Monday morning for Amelia we arrived in Nairobi to start our placement in Content and Communications with the Kenyan Child.org team. We’ll be gathering communications material for the Baby Box programme and the upcoming Team Mum campaign. Given that we’re staying in a flat about three minutes from the office you’d think it would be quite a smooth commute on Monday morning - you’d be wrong. We ended up going to the wrong office building and turning up late for our first day, just getting into the culture of ‘Kenyan Time’. We met the lovely Marti, Doreen and Faith, who briefed us on our plan for the next two weeks and explained more about Child.org’s programming work in Nairobi, and Kenya more broadly. Our time here will be spent in a combination of visiting clinics where the baby boxes are handed out and postnatal checks take place, and going out into communities with Doreen and Faith while they conduct follow-up surveys. Part of our first afternoon was also spent sourcing Kenyan sim cards so we can stay in touch on the go, and exploring the local supermarket. We returned to our flat with a selection of Kenyan delicacies to try, including maize flour to make ugali, a traditional Kenyan carbohydrate based dish that goes with stew or curry. With the help of our bemused airbnb host, Jane, we assembled our first Kenyan dish and enjoyed it while watching the August Charity Fast-Track webinar (what else?). Today was a public holiday so we had the chance to explore Nairobi and get to know a bit more about the city and its culture. Evans, who drives all the Nairobi Child.org staff around, was our tour guide for the day. 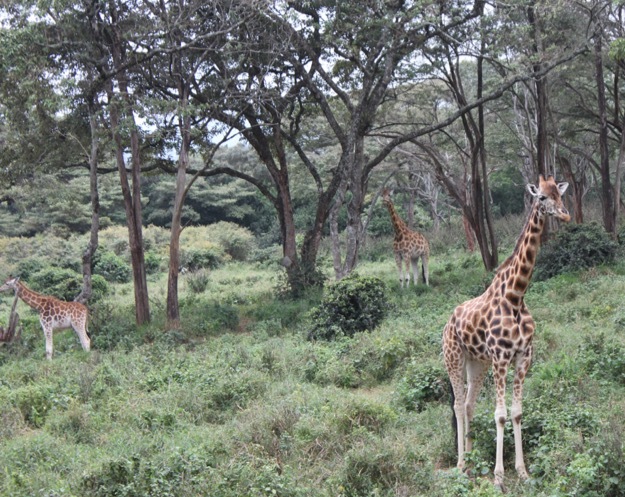 We visited the top attractions in Nairobi, which include the giraffe centre and the baby elephant orphanage! 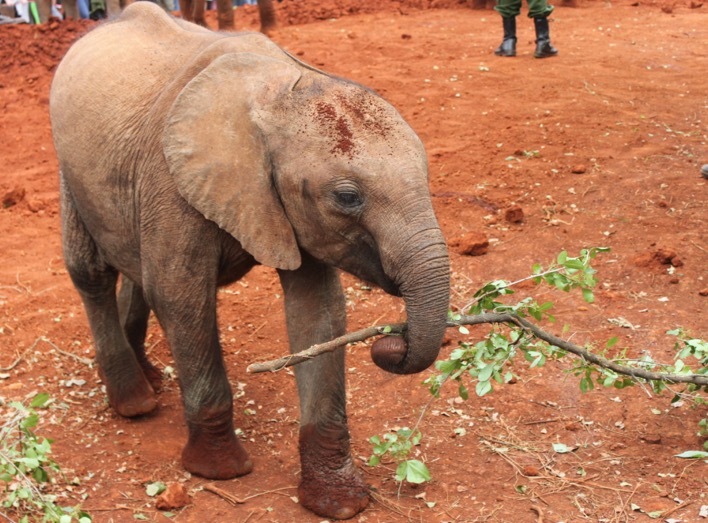 It was amazing to get so up close and personal with our new friend Stacey the giraffe and 18 baby elephants. Whilst driving to our next location, the Kitengela glass centre, we stumbled upon a herd of zebras on the side of the road (when we say road, more of a dirt track). At the glass centre we crossed a thin wire bridge across a large ravine, something we’d talked to Marti about but she’d been too nervous to do herself! Now we’ve had the chance to acclimatise a bit, we are really excited to get stuck in and start gathering content from the woman at the clinic tomorrow. We’ll talk to them about their stories and experience with the baby boxes and collect quotes for our Team Mum appeal.